Air data systems (ADS) provide critical flight information of the aircraft to the pilot during the flight regime. Majorly these systems include pitot static probes, angle of attack (AOA), stall protection systems along with the outside and total air temperature sensors. Air data systems help the pilot to maintain the airspeed precisely and precision landings. In other words, air data systems are advanced and integrated solutions made for modern aircraft which is fuelling market growth across the globe. Goldstein Research analyst forecast the air data system market valued USD 0.72 billion in 2016 and is estimated to grow at a CAGR of 5.80% during the forecast period 2016-2024. The report covers the present ground scenario and the future growth prospects of the air data system market for 2016-2024 along with the total sales of air data system products in every region. We calculated the market size and revenue share on the basis of revenue generated from the sales of aircrafts with air data system to the end-users across the globe. Based on aircraft types, unmanned air vehicles are projected to witness highest growth during the forecast period. Extensive applications of UAV for surveillance and information gathering mainly for military purpose are supporting the growth of air data systems for unmanned air vehicles. Unmanned air vehicle is expected to grow at a CAGR of 9.0% during the forecast period. Air Data System Market Outlook 2016-2024, has been prepared based on an in-depth market analysis from industry experts. The report covers the competitive landscape and current position of major players in the global air data system market. The report also includes porter’s five force model, SWOT analysis, company profiling, business strategies of market players and their business models. Global air data system market report also recognizes value chain analysis to understand the cost differentiation to provide competitive advantage to the existing and new entry players. 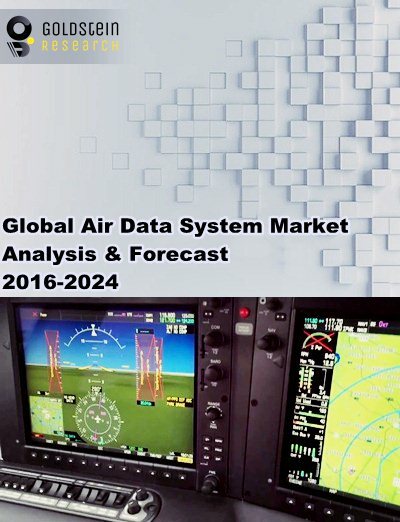 Our global air data system market report comprises of the following companies as the key players in the air data system market: UTC Aerospace Systems, Rockwell Collins, Inc., Shadin Avionics, Honeywell International Inc. and Thommen Aircraft Equipment. Other high-flying vendors in the market are: Curtiss-Wright Corporation, Aeroprobe Corporation, Astronautics Corporation of America, Ametek Inc., Meggitt PLC, Ikusi S.A, Resa Airport Data Systems, Northrop Grumman Corporation, Thales Avionics, Sagem Défense Sécurité, Optical Air Data Systems, LLC, GE Aviation, Rolls-Royce and CFM International. According to the report, major driver for expansion air data system market is the increasing demand for aircrafts in civil aviation industry. Rising frequency and number of passengers in air travel and growing international tourism is demanding new aircrafts which is eventually supporting the increasing demand for air data systems. Further, the report states that one challenge in air data system market is longer life expectancy of aircraft flight control system is leading to decline in the investment on new air data system. However, growing demand for new aircrafts is expected to play a significant role in the growth of data system market. Based on geography, North America is the dominating region for global air data systems market and held 35% of total market share in 2016. Presence of leading market players along with rising spending for increasing the number of military and commercial aircraft, helicopters and unmanned vehicles are supporting the growth of air data system market in the region. Growing investment to increase the aircraft strength is generating new business scopes for air data systems market in the Middle East & Africa region. What is the total market size by 2024 and what would be the expected growth rate of air data system market? What is the total number of aircrafts and sales of air data system in 2015-16 and what would be the expected demand over the forecast period?